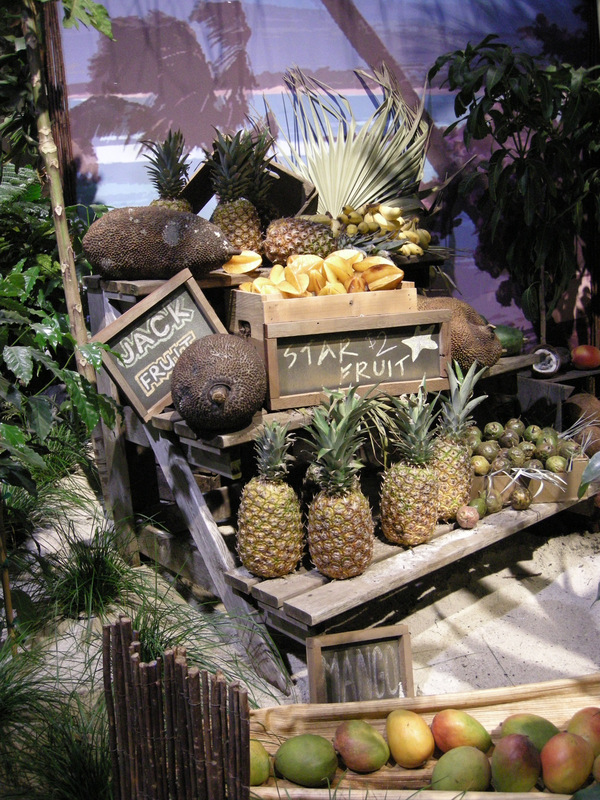 A beautifully designed display decorating the MANTS booth of one of my wholesale suppliers. 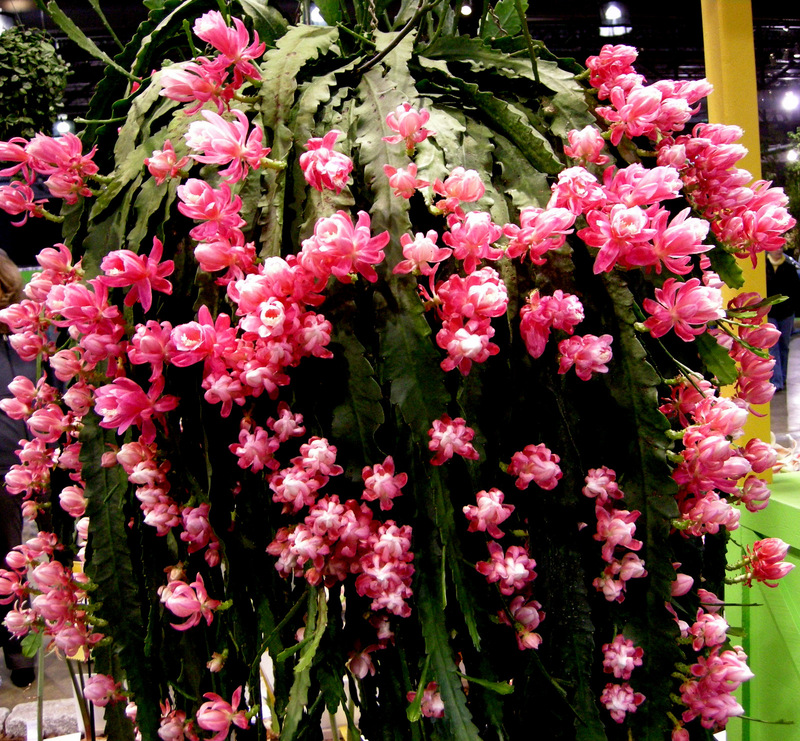 Last week Michael and I attended the Mid-Atlantic Nursery and Trade Show (MANTS) at the Baltimore Convention Center in Maryland. 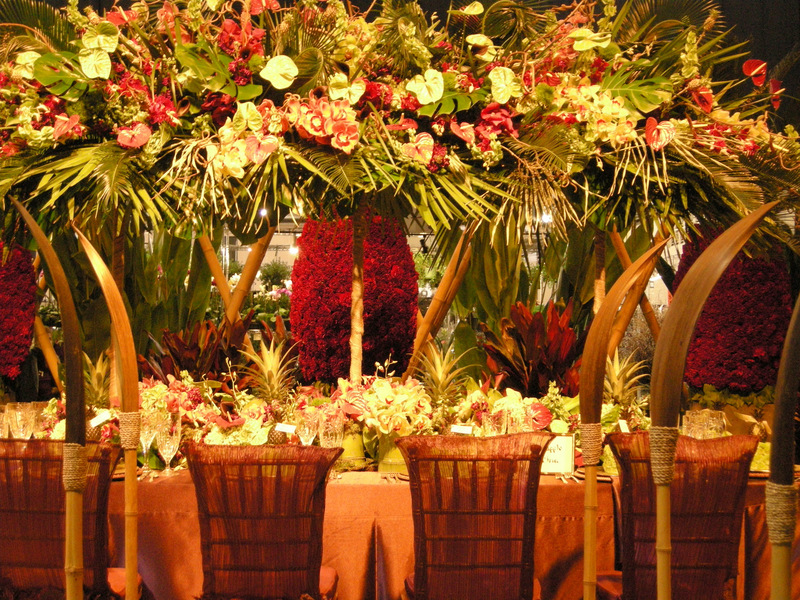 MANTS is a yearly event in early January with over 960 exhibiting companies covering 300,000 square feet (seven acres) of the convention center and hosting 11,000 attendees. 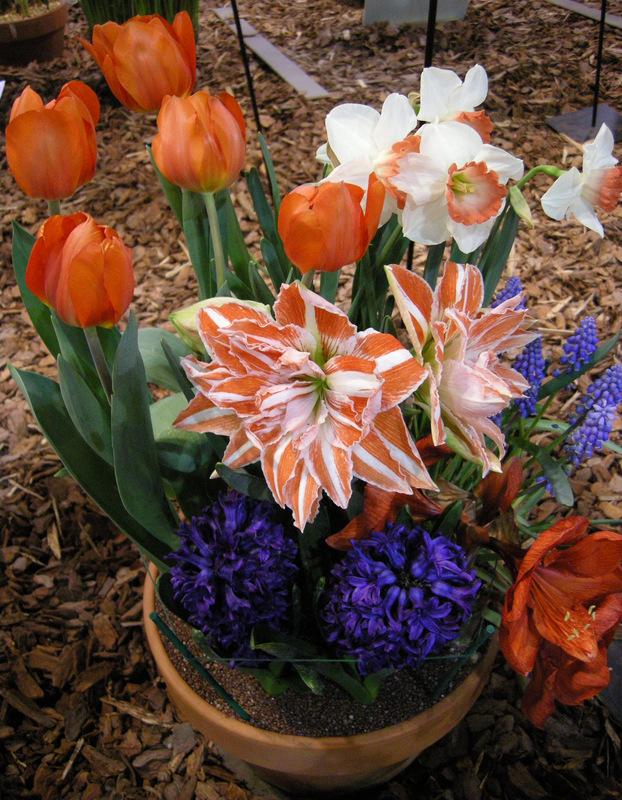 We go to MANTS not only to get ideas about new products and plants for Carolyn’s Shade Gardens, but also to discover potential new suppliers and renew acquaintances with existing suppliers. 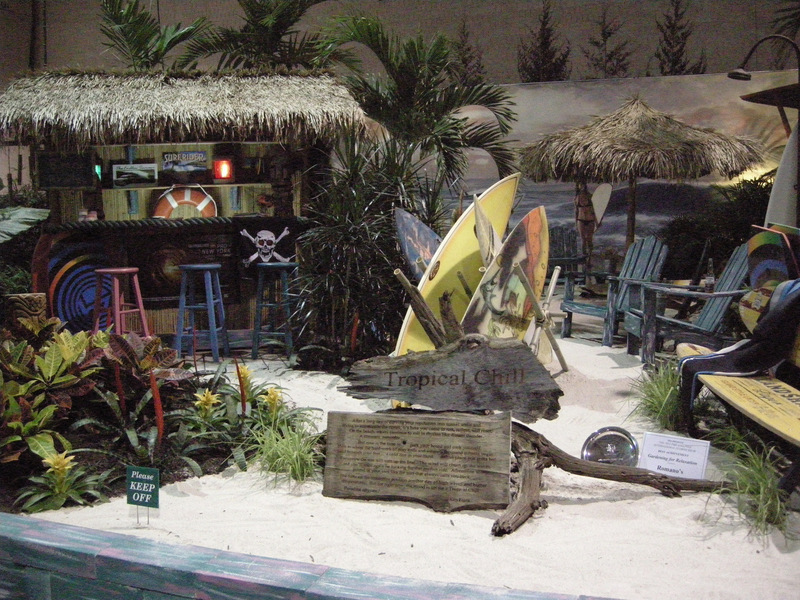 I thought you might enjoy a quick peak at what goes on at a trade show of this size. I am very excited about this new hellebore that Carolyn’s Shade Gardens will be selling in 2017. 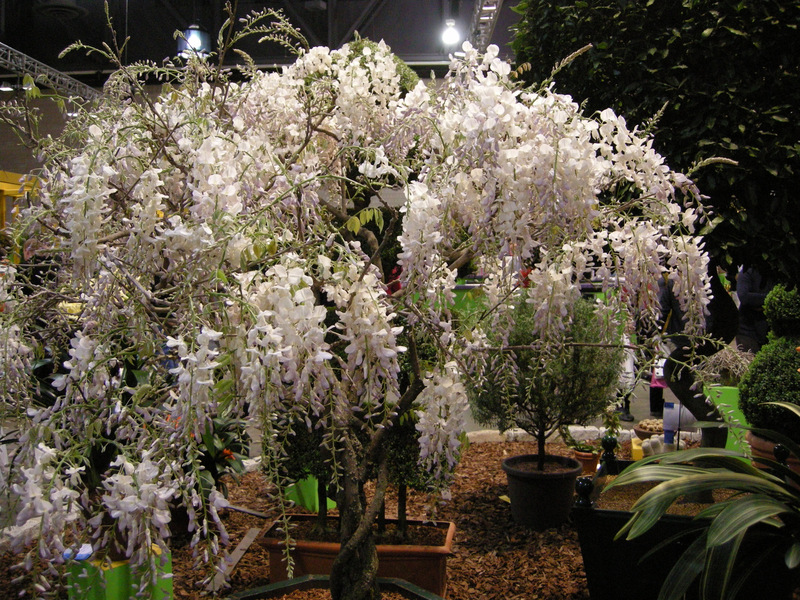 It is called ‘Molly’s White’ and is a sister plant to the best-selling ‘Penny’s Pink’. I already have it in my garden, and it’s doing quite well. My ‘Penny’s Pink’ plants have lots of buds showing right now. 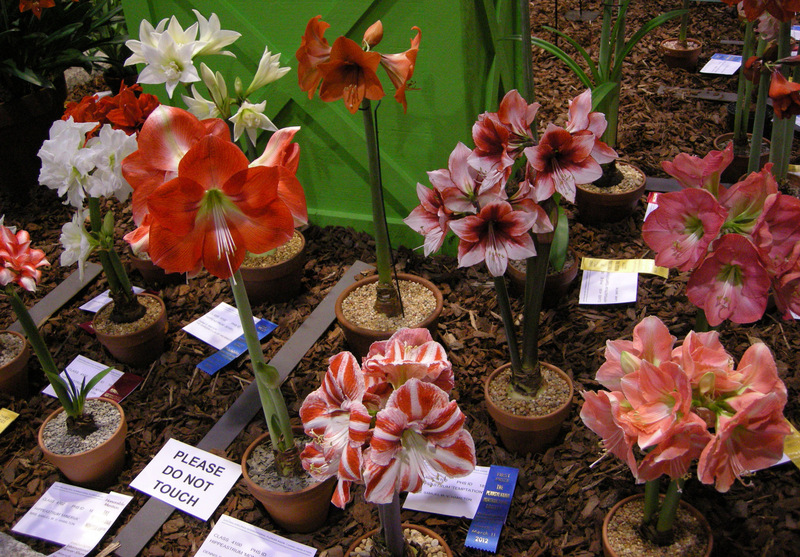 to read more about this newer type of hellebore, click here. There are many beautifully displayed plant exhibits at MANTS like the one above featuring an edgeworthia, camellias, and hellebores. It is difficult with the odd lighting to get a good photo though. 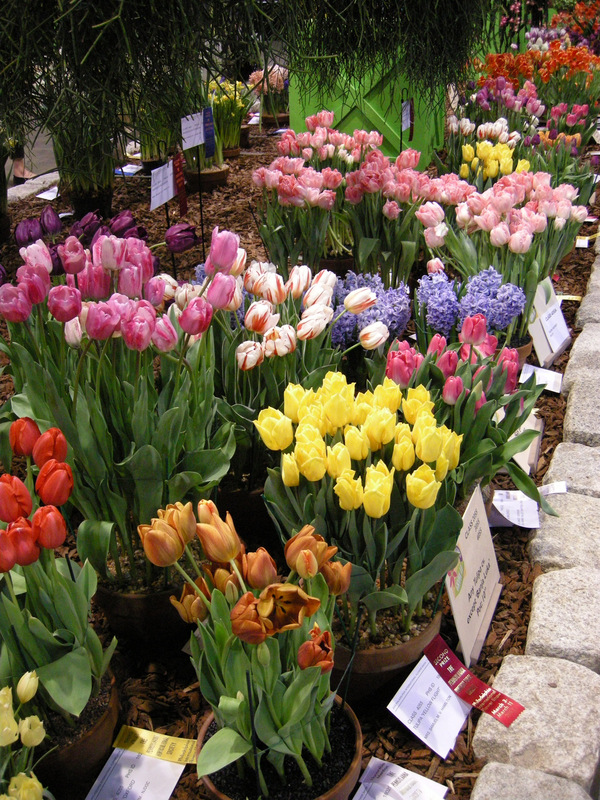 If you start flowers and vegetables from seed, you can’t go wrong with Hart Seed Company, a 100-year-old, family owned and operated business, specializing in untreated and non-GE (genetically engineered) seed. 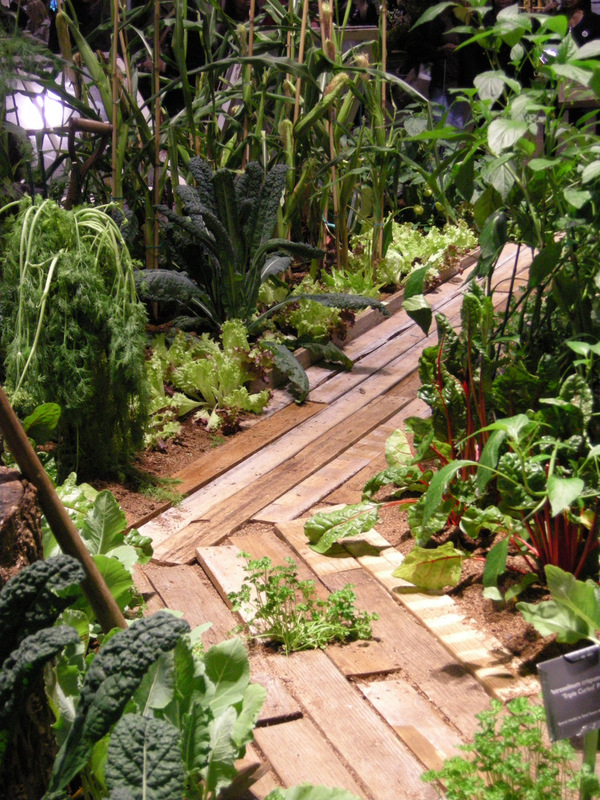 They support independent, local nurseries by refusing to sell to big box and discount stores. Colonial Road, based in Lancaster, Pennsylvania, makes very comfortable, recycled plastic Adirondack chairs that come close to looking like the high maintenance wood version (at least if you buy it in the white shown in the poster instead of the kaleidoscope of colors displayed here). I loved my wooden Adirondack chairs but was constantly replacing rotted slats, and have you ever tried to paint one? Let me know if you are interested in seeing mine or buying any as Carolyn’s Shade Gardens can get them for you. It is tempting to turn to harmful chemicals when confronted by the possibility of Lyme disease or Zika virus. Thankfully you don’t need to. Here’s Mark Wilson, President of Natural Repellents LLC, holding his ground-breaking product Tick Killz, a natural insecticide made from 100% organic ingredients and safe for children, pets, beneficial insects, and the environment. It controls deer and other ticks, mosquitos, fleas, mites, and aphids, among other insects. If you spray your property, this may be the product for you, 1 oz. makes 5 gallons. I wouldn’t consider using anything but organic potting soil and mulch to grow vegetables for my family (and even in my perennial gardens). Coast of Maine makes 100% organic products using predominantly lobster and crab shells mixed with seaweed and blueberry bush trimmings. I have used their potting soil for containers at my family’s house in Maine with great results. 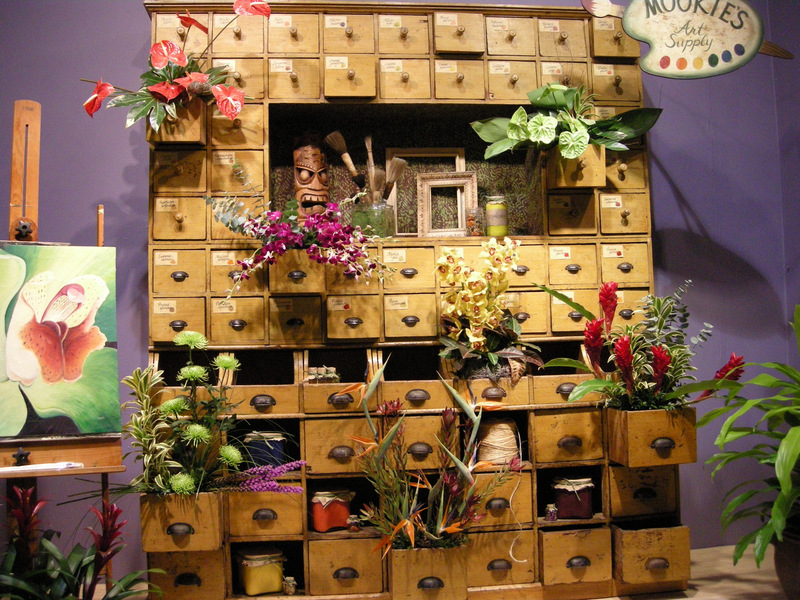 Their website has a store locator to help you find local nurseries carrying their products, click here, and Whole Foods carries them. Unlike most nurseries, I mix my own potting soil using compost with ProMix added to lighten it. 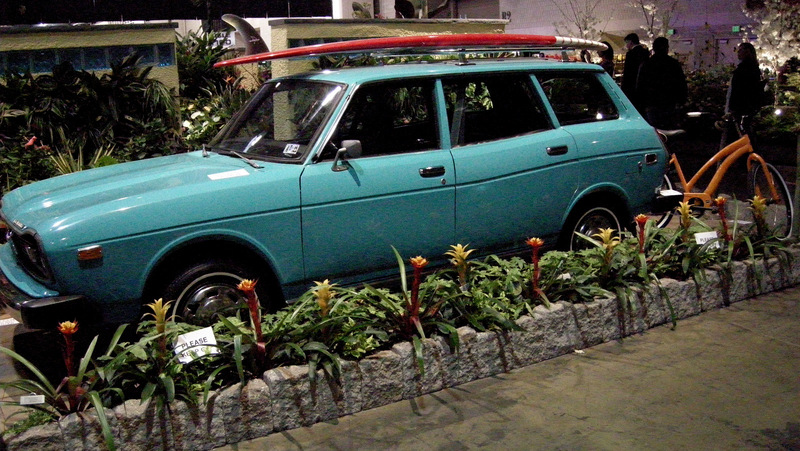 ProMix has a high proportion of sphagnum/peat moss, which cannot be sustainably harvested. Ground coconut hulls or coir is a sustainable product, and the condensed block above, which yields this wheelbarrow-full when water is added, reduces transportation and storage costs. However, the product is made in Sri Lanka so I am not sure where I come out. 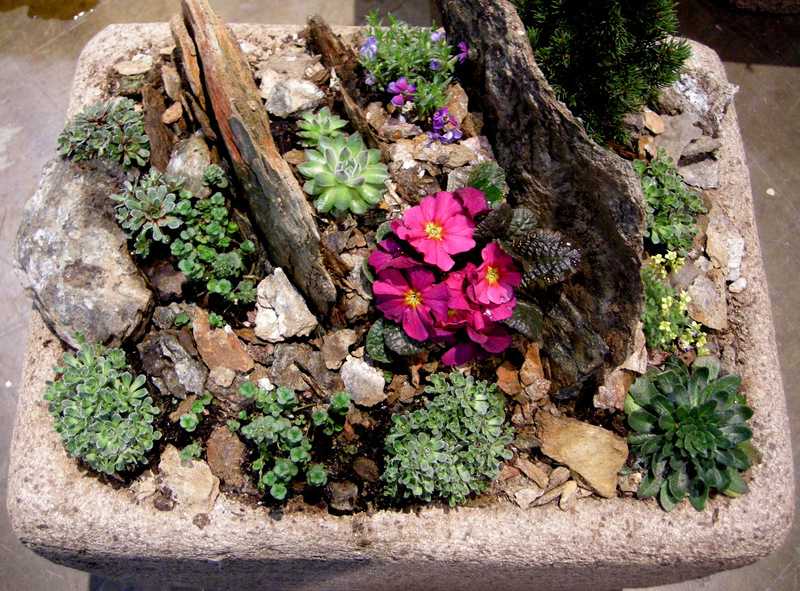 The folks from Jolly Gardener have just introduced a new line of organic soils and mixes. I always want to support companies who decide to take the organic route! Given the trend towards legalization and what a big business this is becoming, I was surprised there wasn’t more marketing to this specialized segment of the green industry. 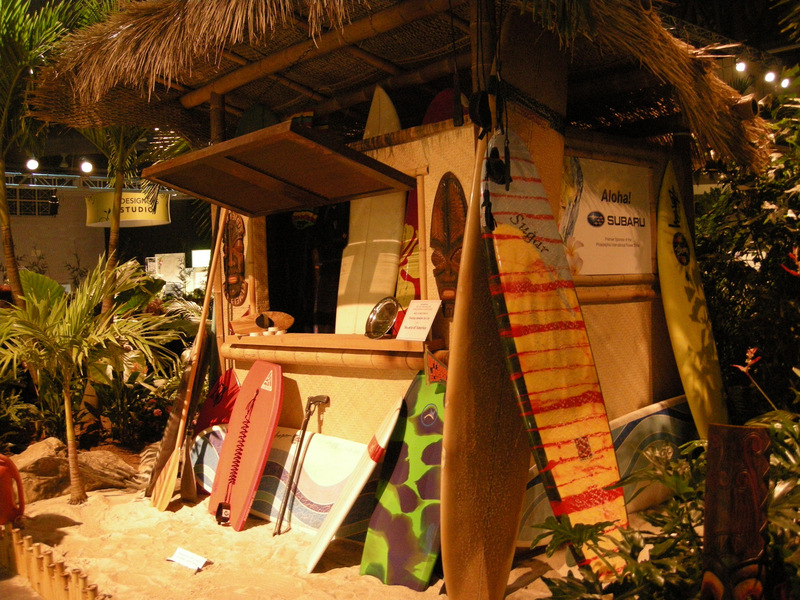 Another fun aspect of MANTS is seeing the lengths exhibitors go to attract attendees to their booths. This tree touched the roof of the convention center, and the holly and evergreen next to it are huge too. Michael standing next to the biggest tree spade I have ever seen. Baltimore is a fun city to visit. 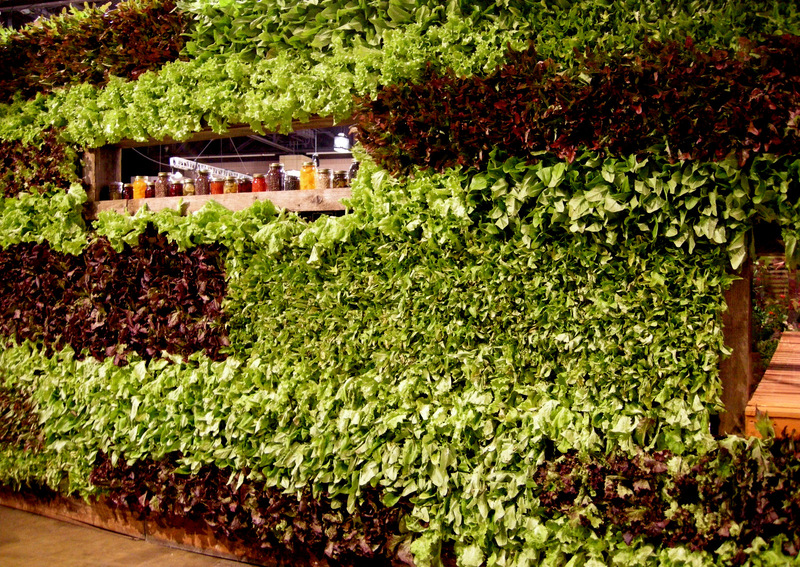 We had a delicious dinner at Woodberry Kitchen, a farm-to-table restaurant located in a charming re-purposed factory. We visited Fort McHenry, a late 18th century, star-shaped fort guarding the entrance to Baltimore Harbor. Francis Scott Key composed “The Star-Spangled Banner” in 1814 about the flag flying at Fort McHenry during the Battle of Baltimore against the British in the War of 1812. On the grounds of Fort McHenry, you will find this somewhat startling 24 foot statue of the Greek mythological figure Orpheus on a 15 foot tall base and clothed in nothing but a fig leaf. It was commissioned in 1914 to commemorate Francis Scott Key for the hundredth anniversary of the Battle of Baltimore even though “The Star-Spangled Banner” did not become our national anthem until 1931. 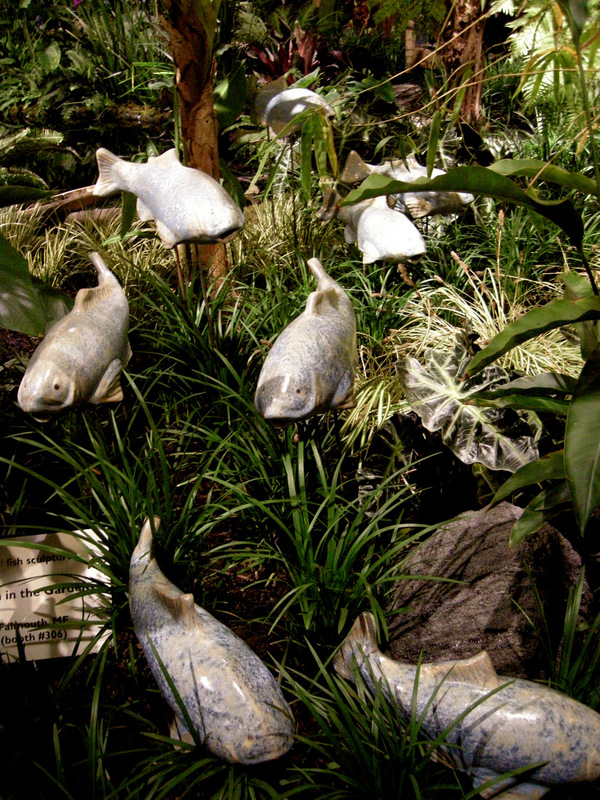 Click here to read the rather humorous background of the statue. 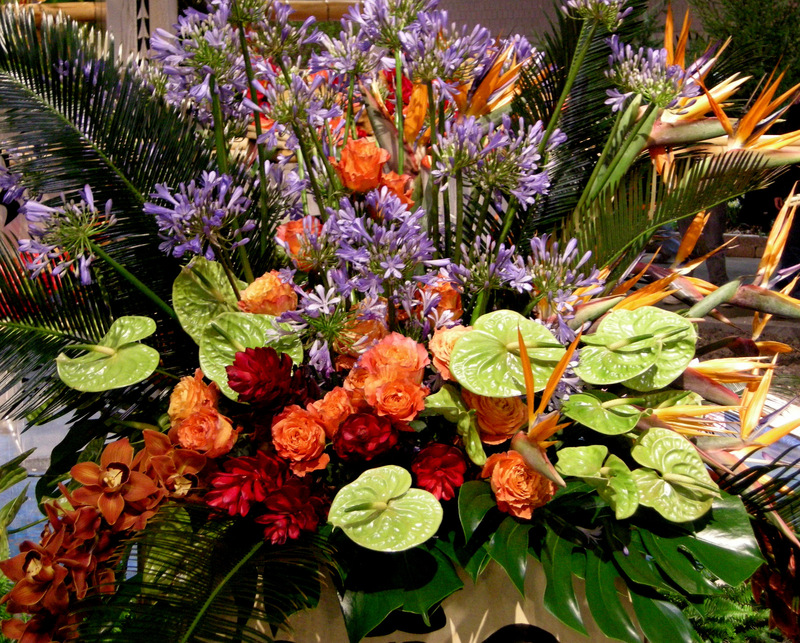 For years, my customers have been asking for woody plants for shade—trees, shrubs, and vines—in addition to the perennials I sell. I now have a wholesale woody plant nursery with the quality and selection I needed to be able to offer them at Carolyn’s Shade Gardens. I have just sent out my first 2012 list. To view the catalogue, click here. 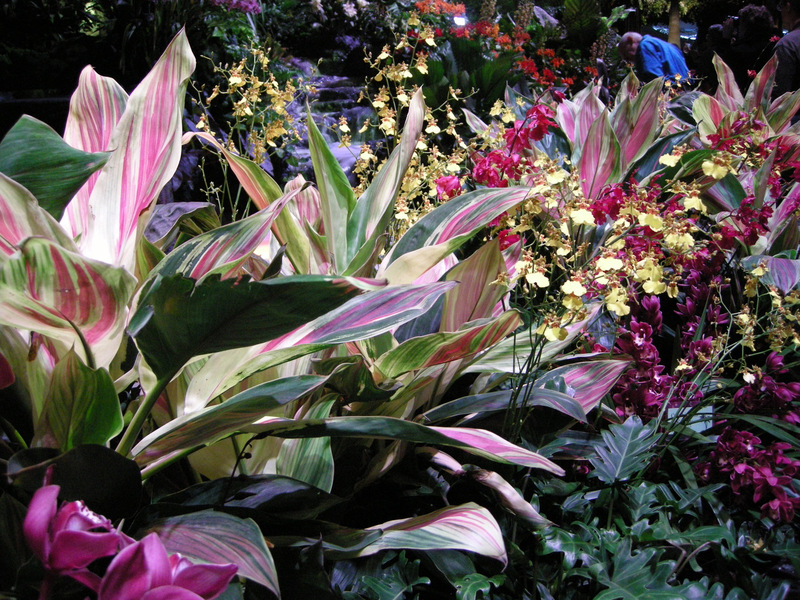 However, I thought my blog readers who are not customers might be interested in learning about the plants that I would recommend they add to their shade gardens. 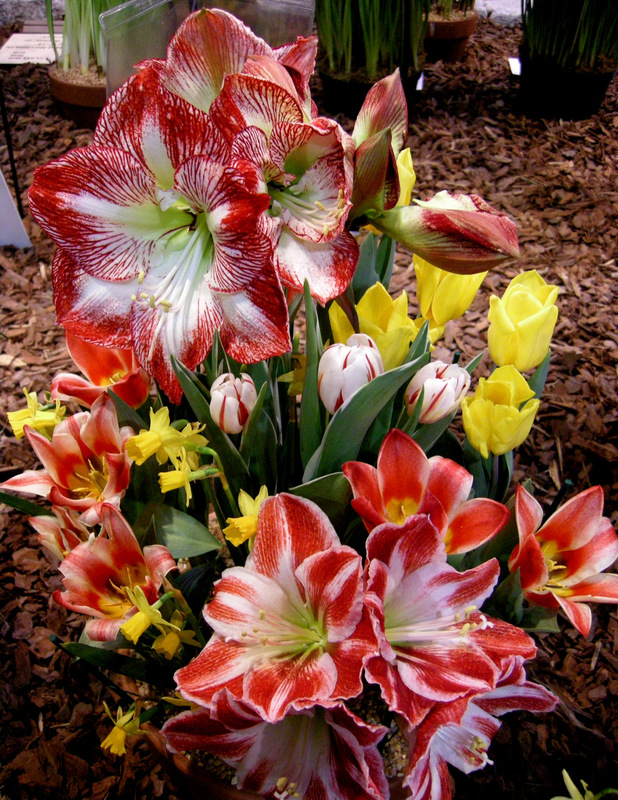 And doing an article allows me to add more information and explain why I chose the plants I included so customers might be interested also. 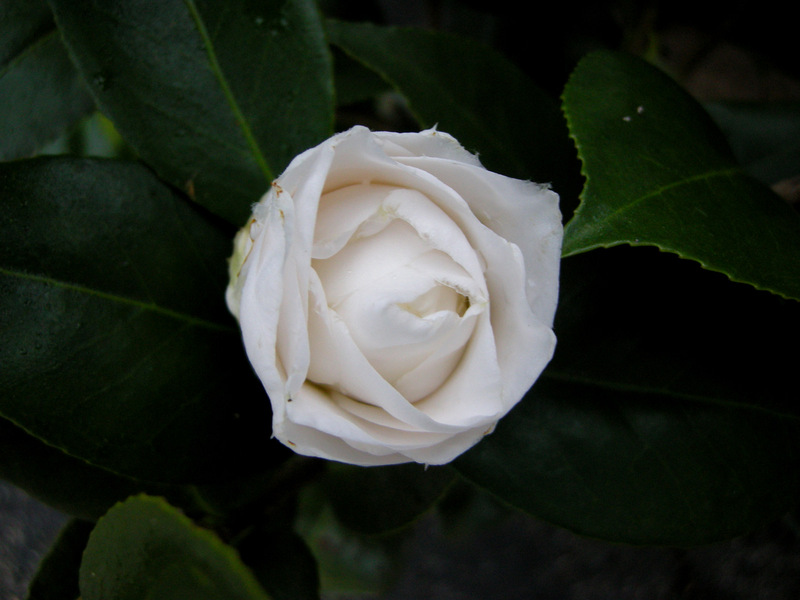 The buds are just starting to expand on ‘April Snow’ camellia. 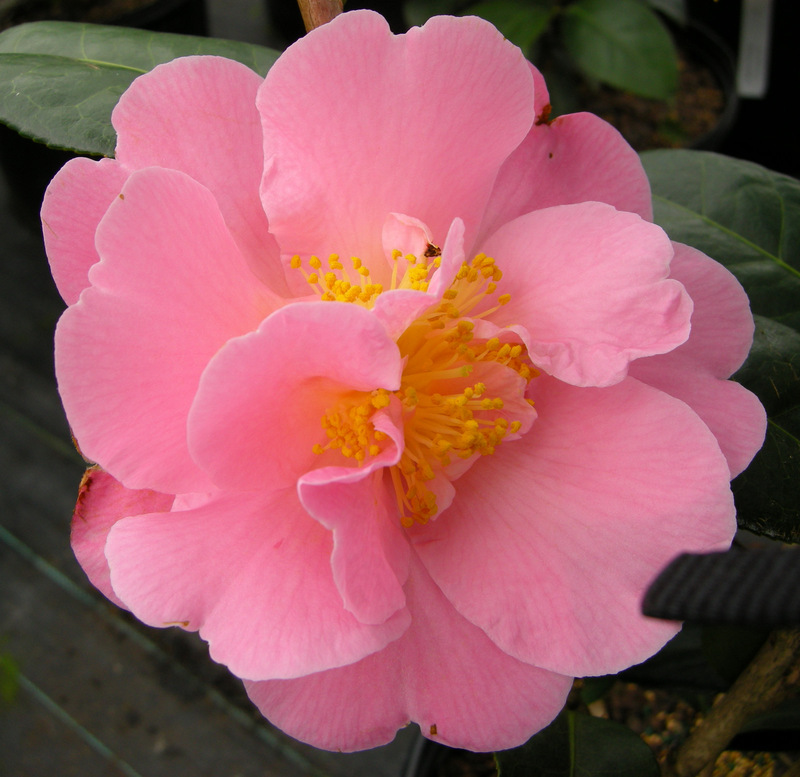 I included three hardy camellias for their spectacular early season flowers and elegant evergreen leaves. These camellias, along with many other cultivars, have been bred to be fully cold hardy in the mid-Atlantic U.S, zones 6B and 7A. 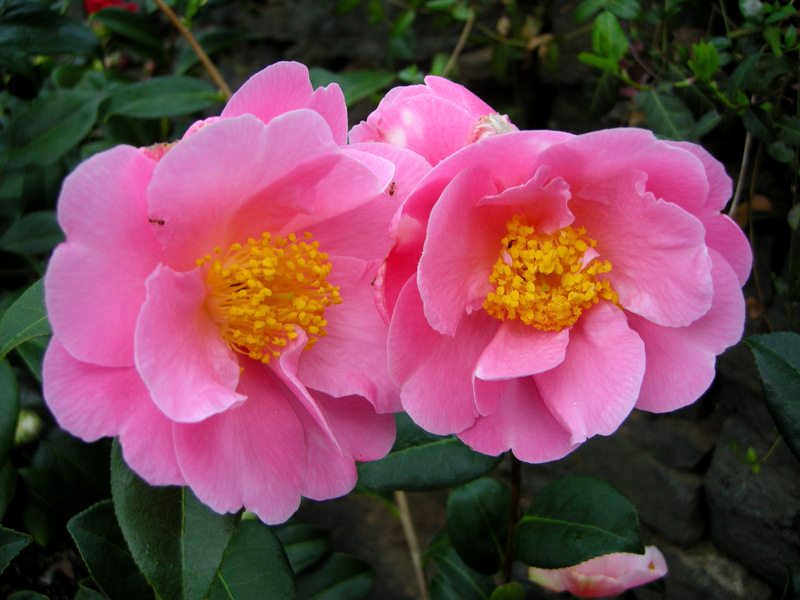 Nevertheless all camellias benefit from being sited to shelter them from winter wind, which comes from the northwest. 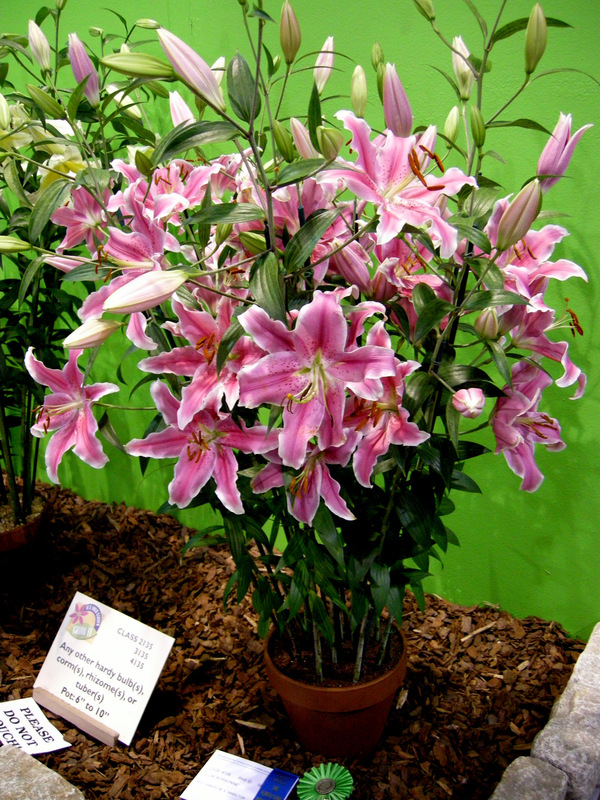 They also maintain their lustrous dark green leaves in better shape if they are sheltered from winter sun. 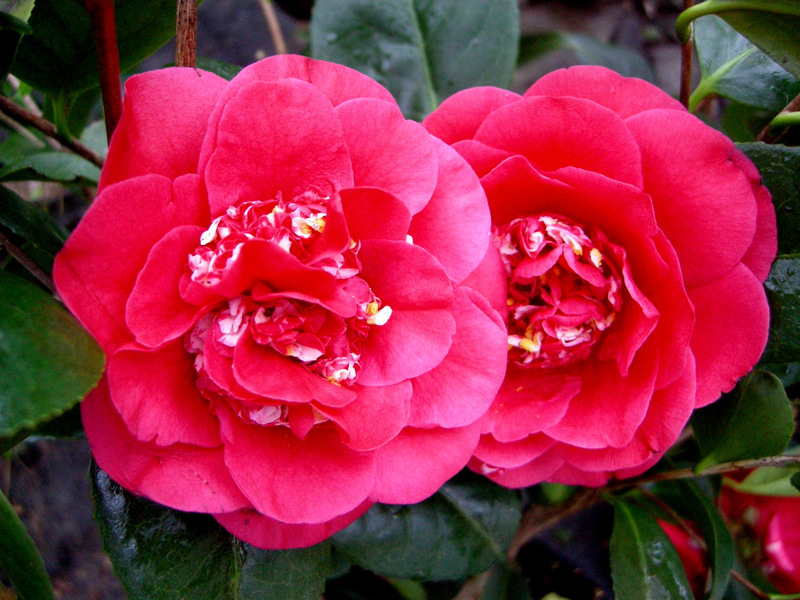 For more information on cold hardy camellias for our area, click here. 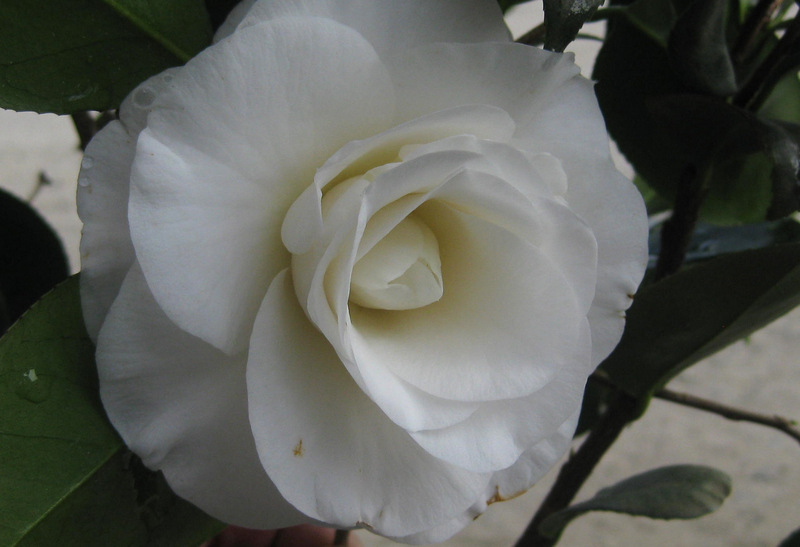 Camellia x ‘April Snow’ is a spring-blooming hardy camellia with gorgeous plump buds opening to large pure white rose-form double flowers in April and May. It has large glossy dark evergreen leaves. 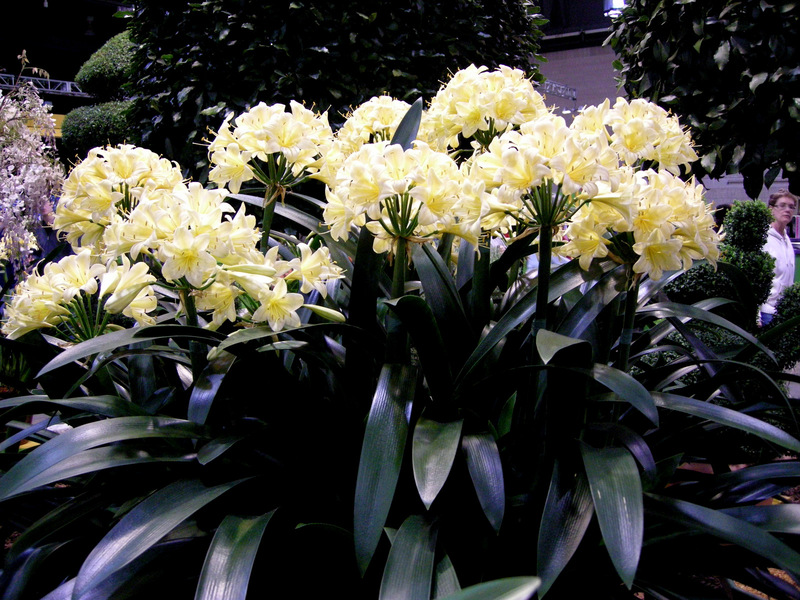 It is 5’ tall and 4′ wide, growing in part to full shade. 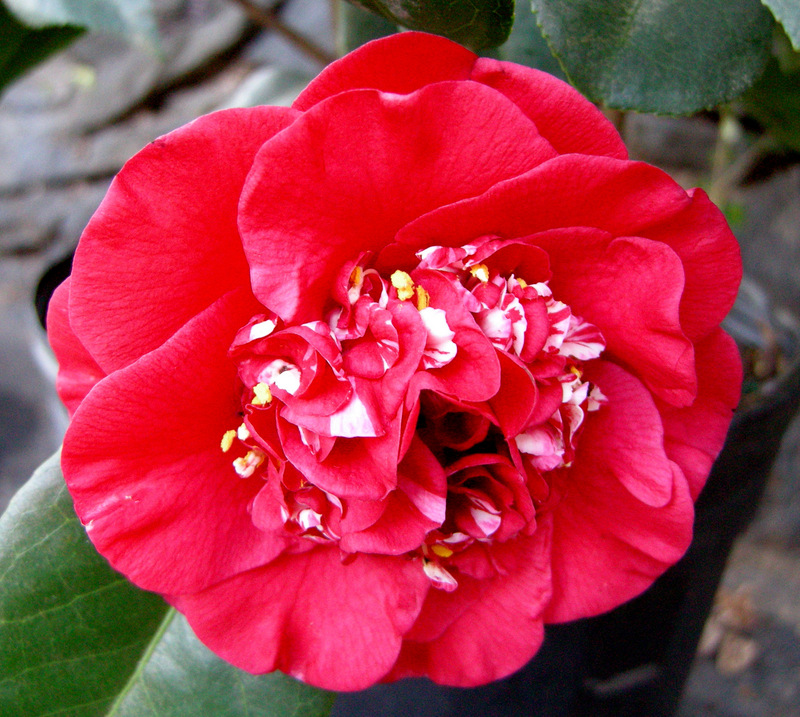 It is part of the April series of exceptionally hardy camellias developed by Dr. Clifford Parks of North Carolina. ‘April Tryst’ is very similar to ‘April Snow’, reaching 5′ tall and 4′ wide at maturity and sporting lustrous dark evergreen leaves in part to full shade However, it blooms earlier, in March and April, and has knock-your-socks-off red anemone form flowers. It is also part of the April series of exceptionally cold hardy camellias. ‘April Tryst’ was starting to bloom in Charles Cresson’s garden during our recent Winter Interest Seminars, and Charles highly recommends it. Spring-blooming camellia ‘Pink Icicle’ has very large, peony form, shell pink flowers that glow when displayed against the glossy evergreen leaves. It blooms in March and April in part to full shade. 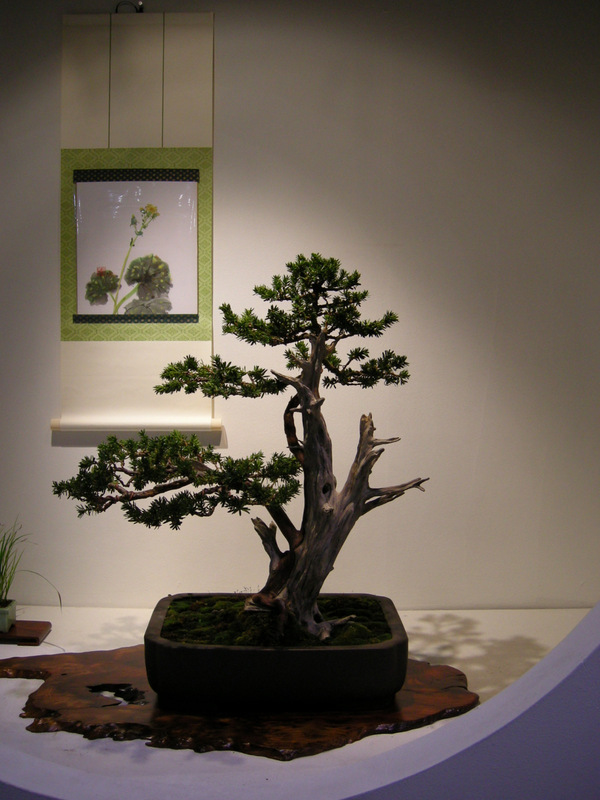 It has a compact and upright growth habit and was selected by Dr. William Ackerman at the U.S. National Arboretum. The final evergreen plant is Japanese mahonia, Mahonia japonica. Aside from being evergreen, this was the most fragrant plant in the Cresson garden during the Winter Interest Seminars, and there was plenty of competition. 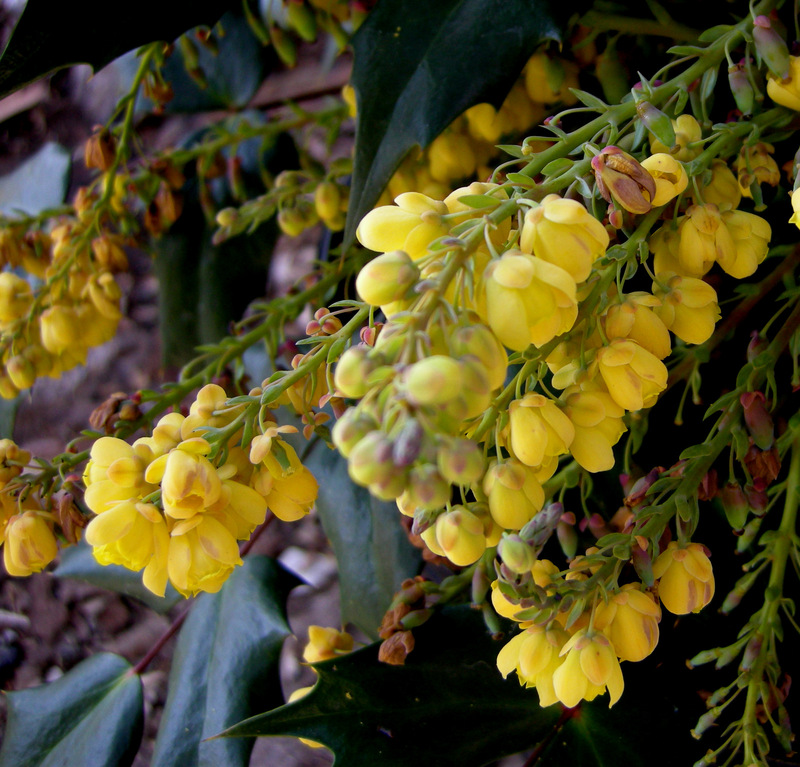 In February and March, extremely fragrant yellow flowers on 8” racemes cover Japanese mahonia. The evergreen leaves are a dark glossy green with a finer texture than other mahonias, and they rarely get damaged in winter. The glaucous blue fruit in early summer attracts birds. 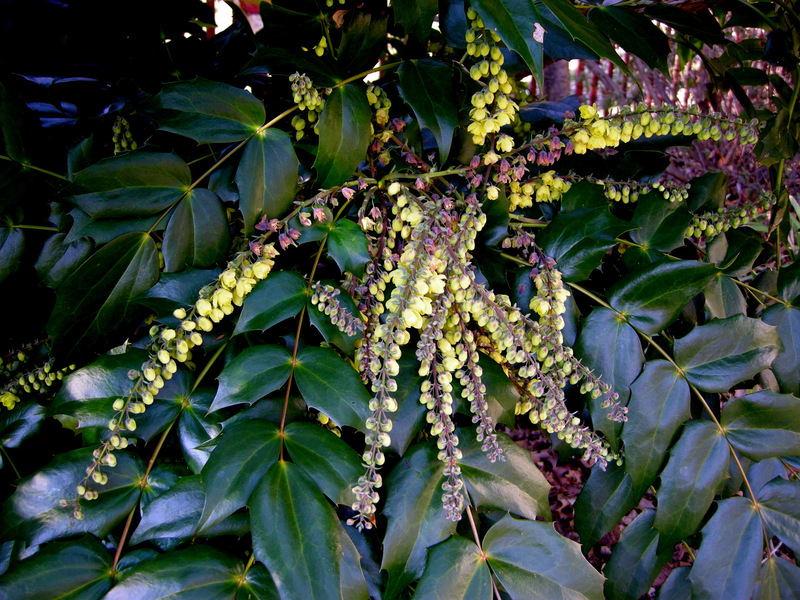 Japanese mahonia grows to 6′ tall and 3′ wide in moist, well-drained soil. It is also deer resistant. For more information, click here. 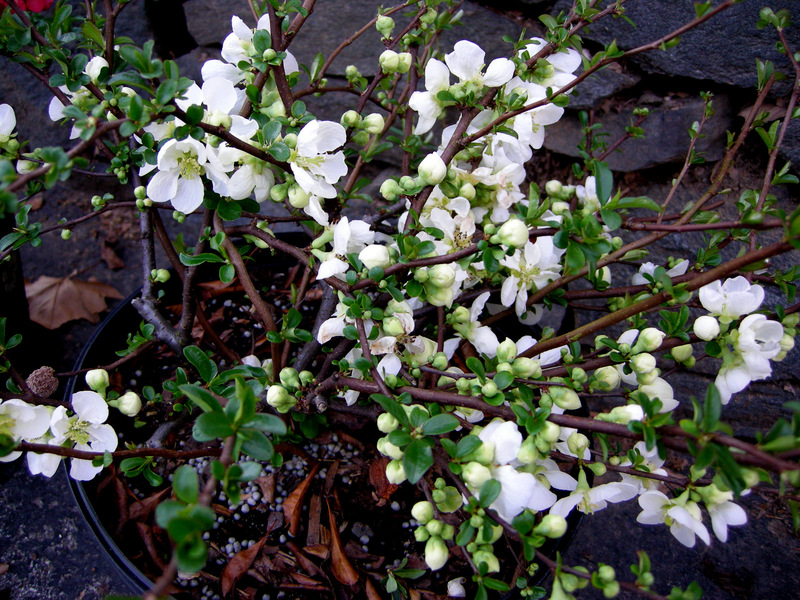 There are five deciduous shrubs in the offer, including two flowering quinces. 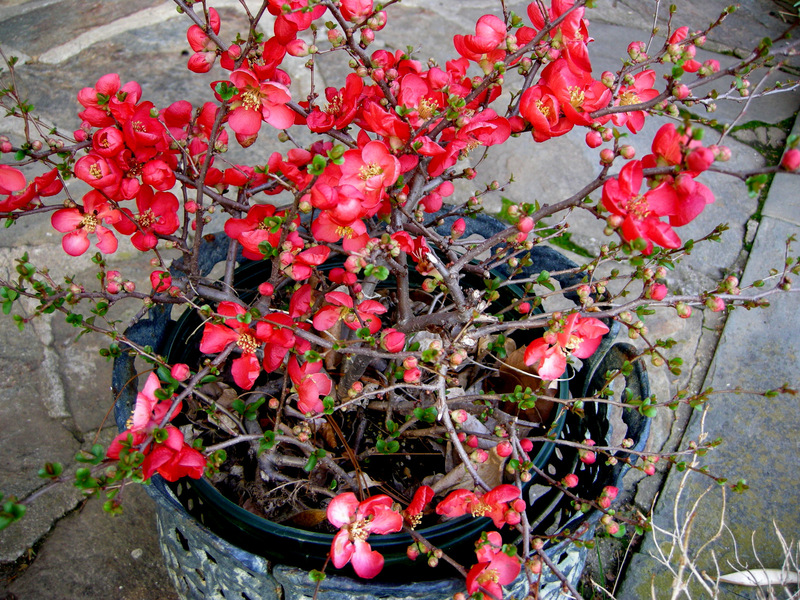 Now I love the early flowers, beautiful colors, and deer resistance of quince, but it is difficult to fit a 10′ plus tall and wide shrub covered with lethal thorns into the garden. That’s why I was excited when new low and compact quinces that won’t dominate your garden were introduced. 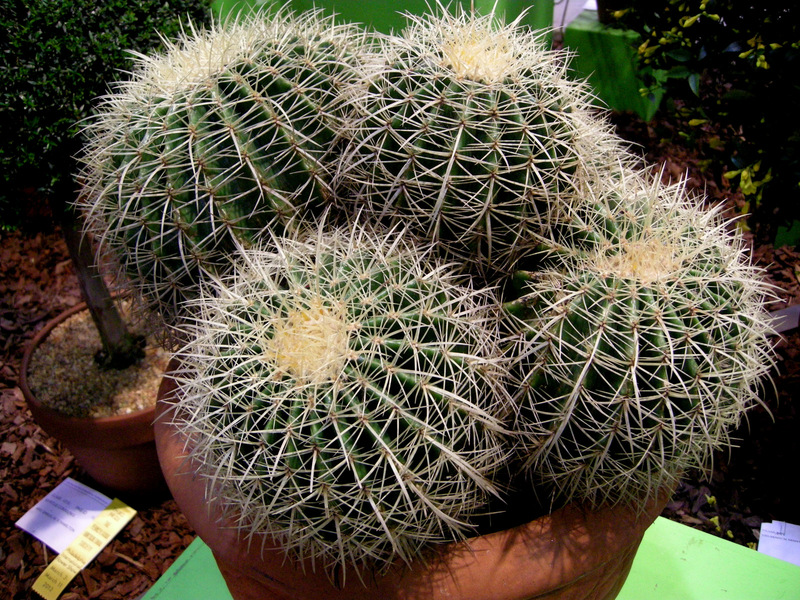 They are not marketed as thornless, but I can’t find any thorns on mine. As an added benefit, the leaves remain healthy all summer. 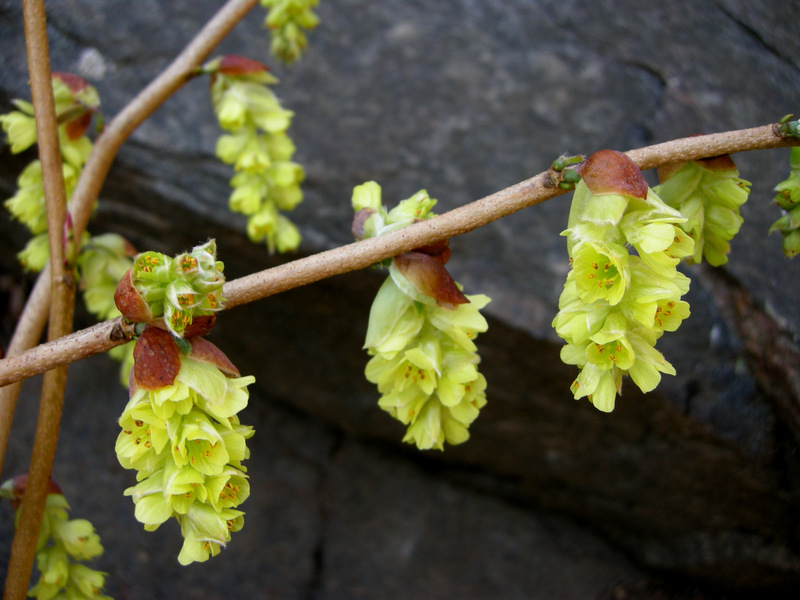 Spike winter hazel, Corylopsis spicata, is the elegant shrub with the unusual yellow flowers that everyone admires in my garden in early spring. Dangling panicles of very fragrant, lemon yellow flowers cover this graceful shrub in March and April before the foliage. The bold-textured leaves emerge burgundy and age to a lovely blue-green. Winter hazel grows to 8′ tall and 6′ wide in full sun to part shade. 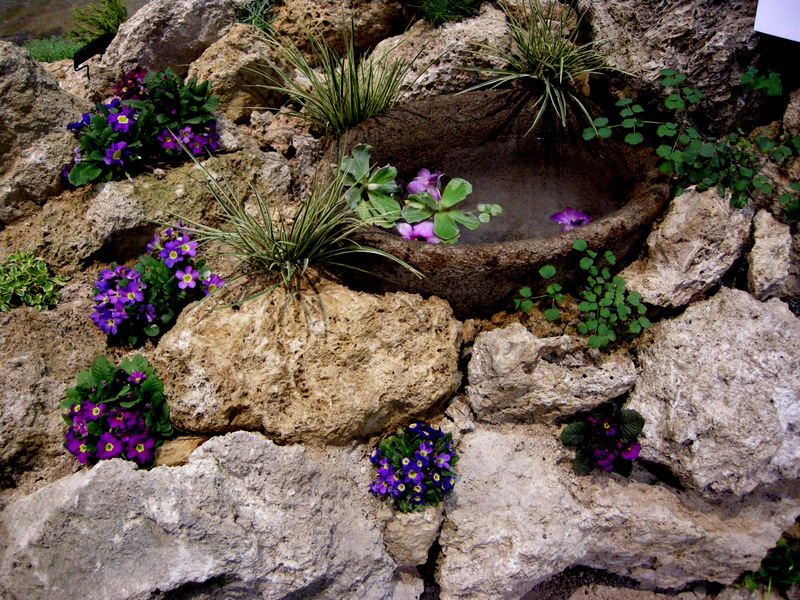 It takes average garden soils and is deer resistant; for more information, click here. 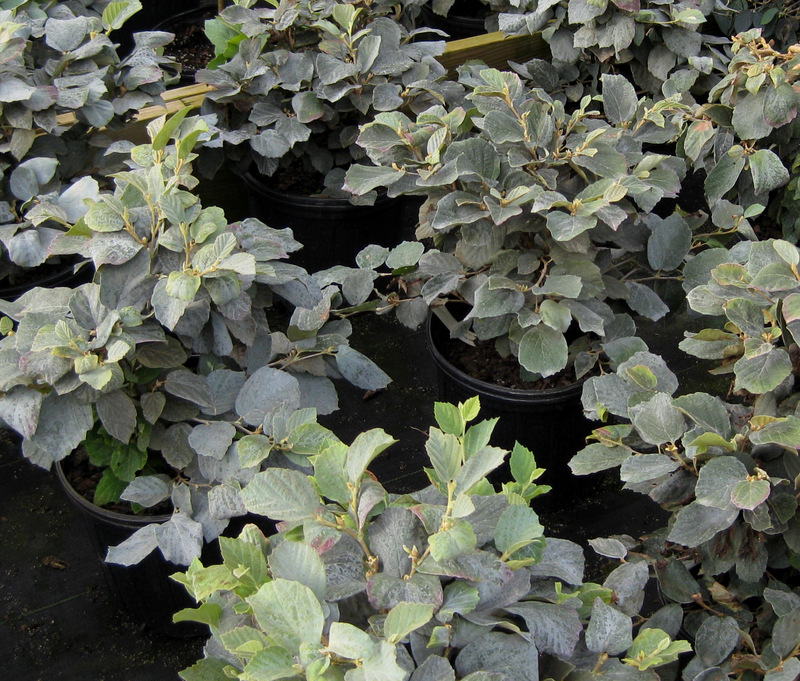 The lovely dusty blue leaves of native ‘Blue Shadow’ fothergilla. ‘Blue Shadow’ has honey-scented bottlebrush flowers. 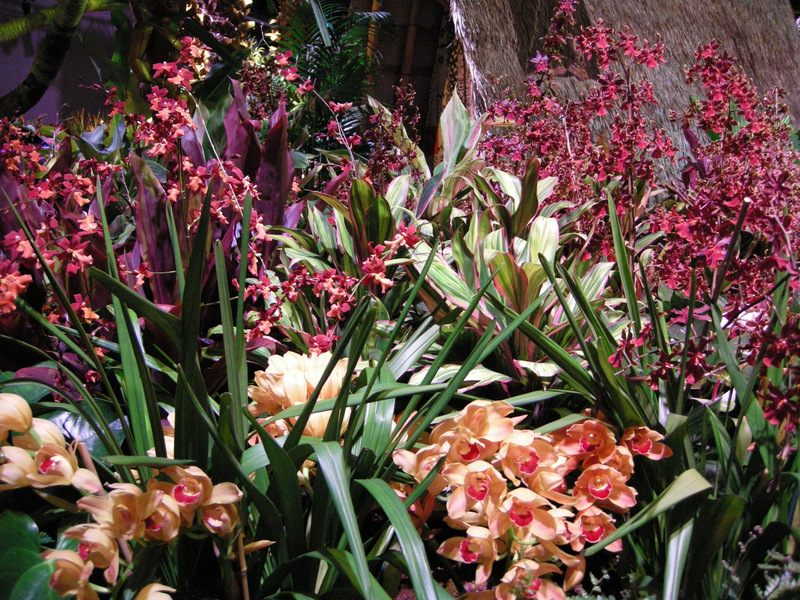 Photo courtesy of the Missouri Botanical Garden. 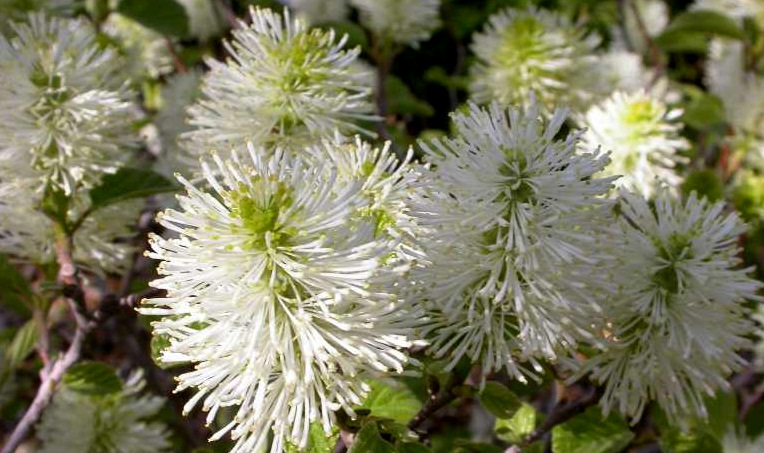 Native ‘Blue Shadow’ fothergilla, Fothergilla x intermedia, has stunning ornamental attributes three seasons a year. In March and April, it is covered with honey-scented white bottlebrush flowers. Its gorgeous dusty blue leaves provide an unusual color and texture for the shade garden. In the fall, the foliage turns lovely shades of yellow, orange, and red. 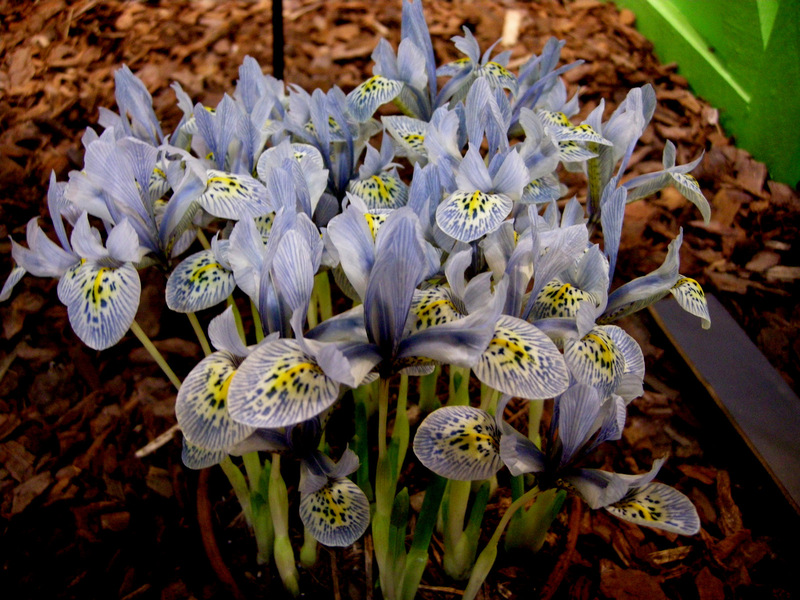 ‘Blue Shadow’ grows to 4′ tall and 3′ wide in full sun to part shade. 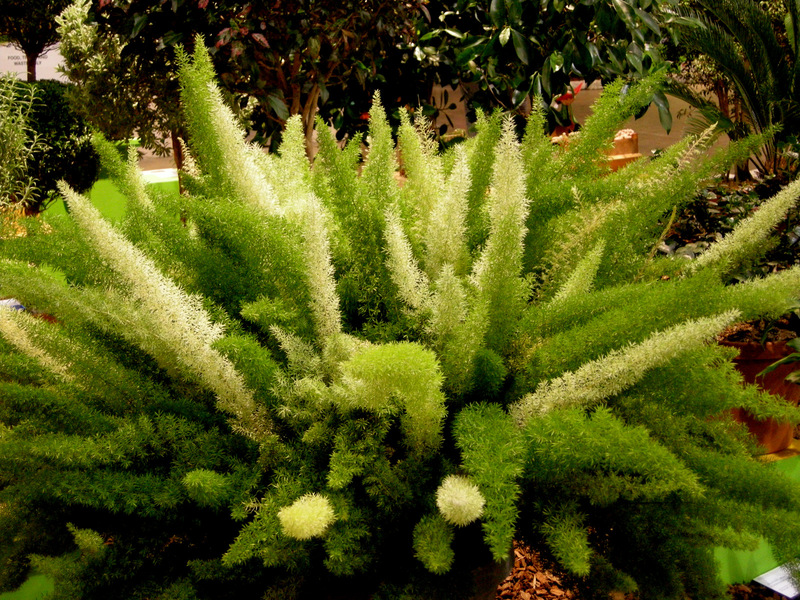 It is native to the southeastern U.S., wet site tolerant, and deer resistant. For more information, click here. ‘Cayuga’ Koreanspice viburnum, Viburnum x ‘Cayuga’, is a cross between a smaller Koreanspice viburnum (V. carlesii) and the fragrant snowball viburnum (V. x carlcephalum) introduced by the U.S. National Arboretum. It has the best attributes of both. 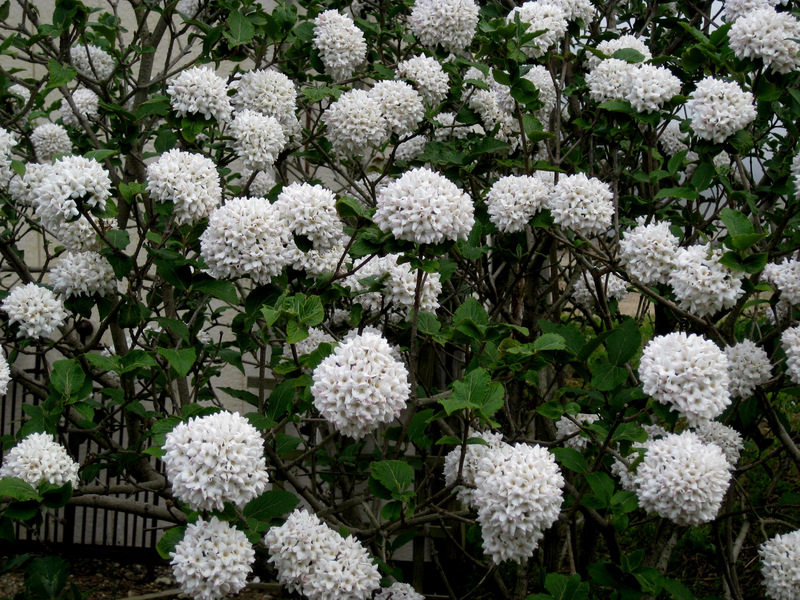 In April and May, striking pink buds open to abundant, fragrant, large white snowball flowers. 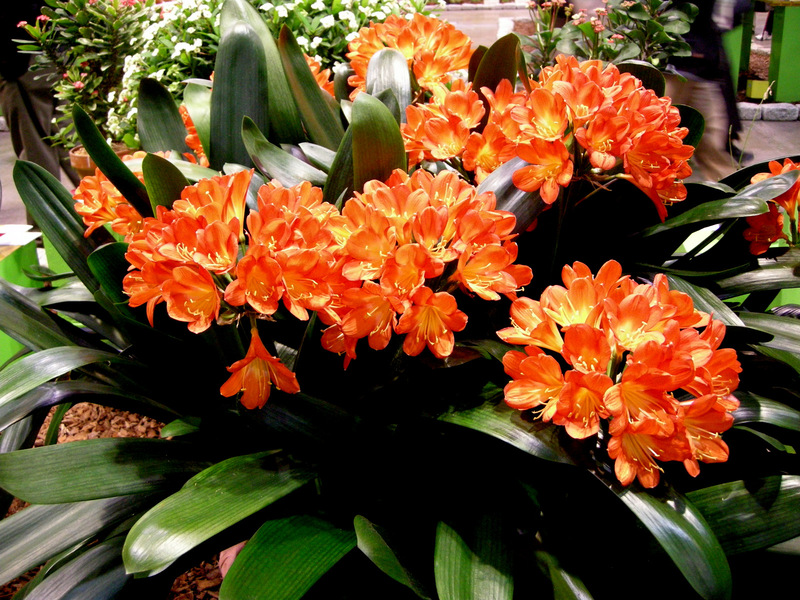 It has a compact habit with dark green leaves that change to orange-red in the fall. 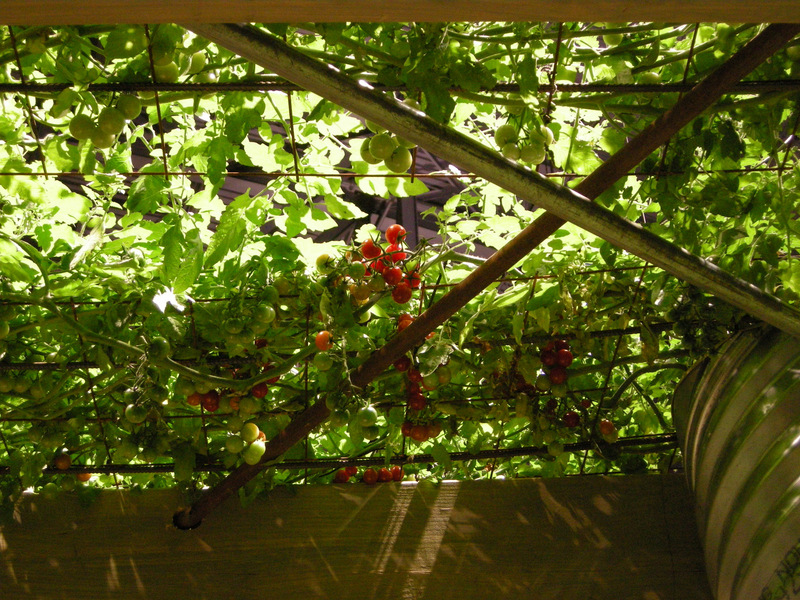 It grows to 6′ tall by 5′ wide in full sun to part shade. 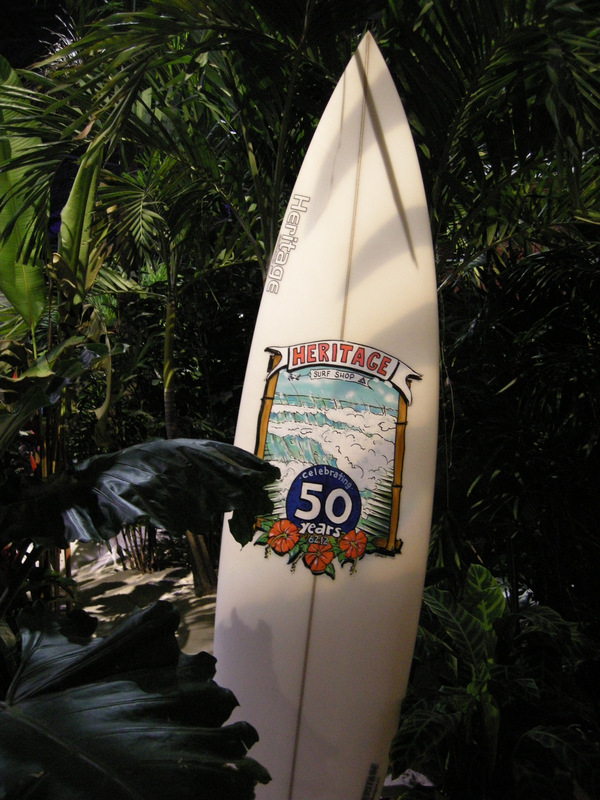 ‘Cayuga’ tolerates a wide range of soils and is deer resistant. For more information, click here. Climbing hydrangea, photo courtesy of the Missouri Botanical Garden. The final plant in the offer is a vine. Climbing hydrangea, Hydrangea anomala subsp. petiolaris, is really the best vine for shade with 365 days of ornamental value. 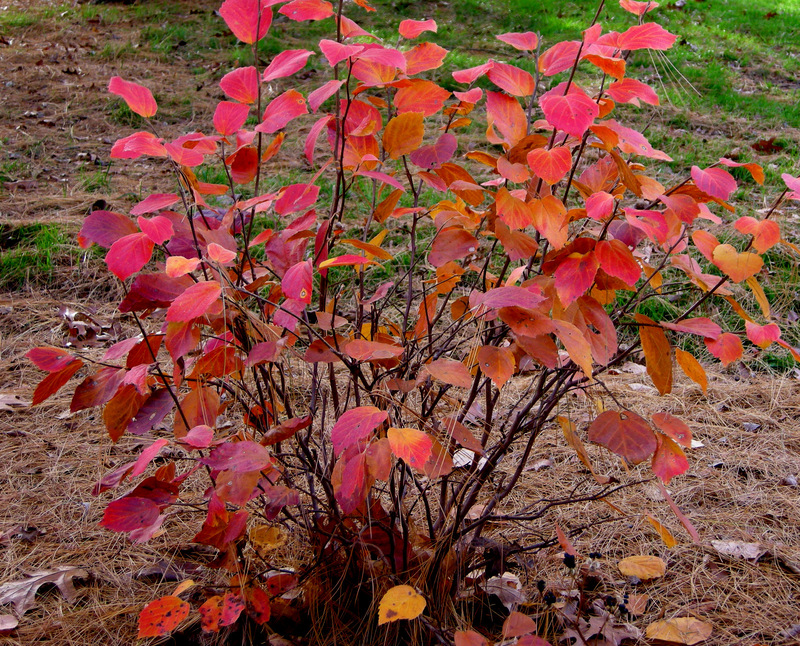 Its lustrous, dark green leaves are neat and attractive all season before turning a buttery yellow in the fall. In June and July, fragrant 8” wide hydrangea-like white flowers layer over the leaves. The exquisite exfoliating cinnamon bark provides winter interest. 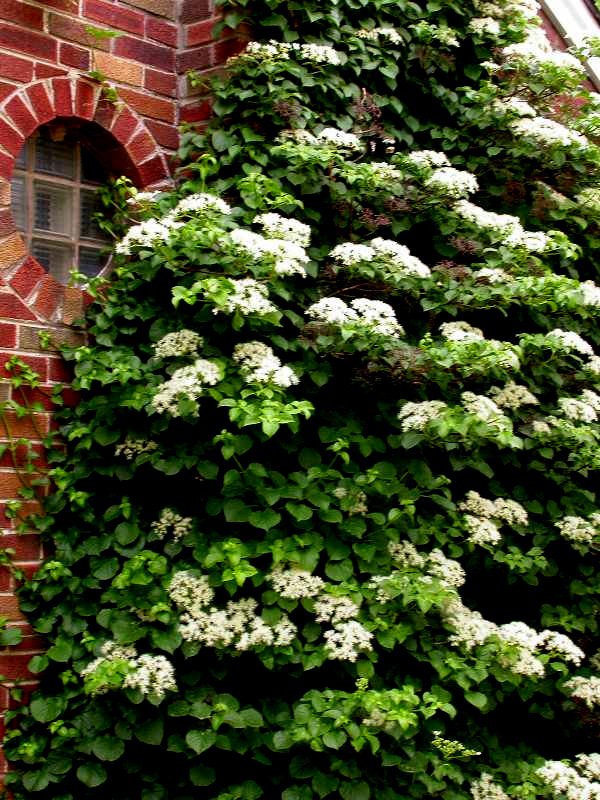 Climbing hydrangea is self-attaching and reaches 30 to 50′ at maturity in part to full shade. 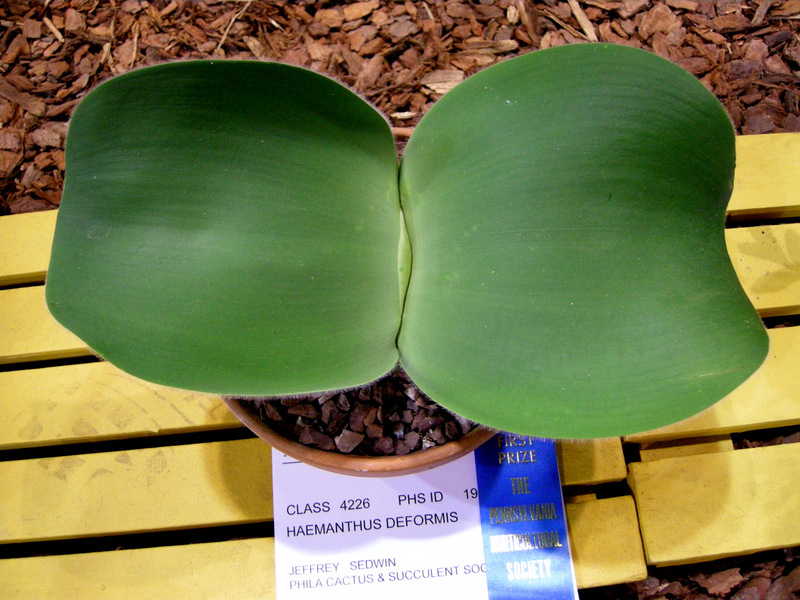 It is a Missouri Botanical Garden Plant of Merit. For more information, click here. I grow most of these plants in my gardens so I know you can’t go wrong by adding them to yours! 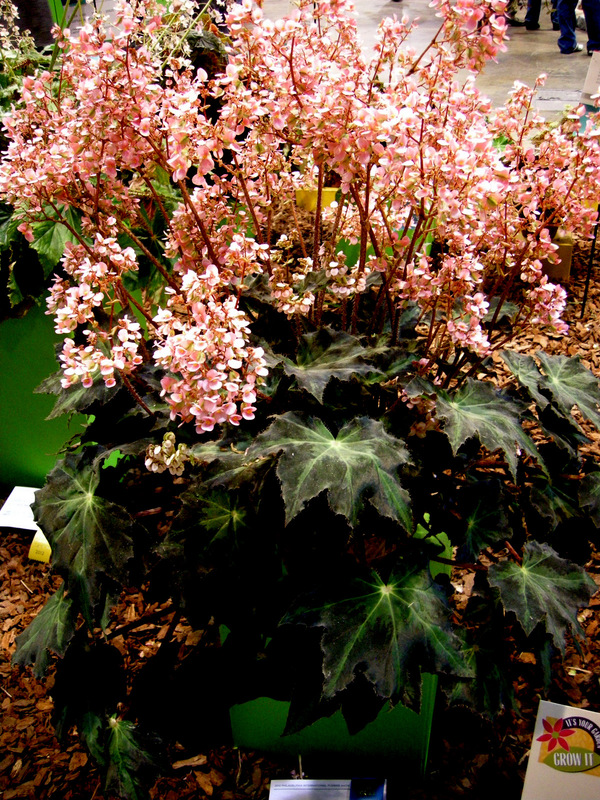 If you are a customer, see Nursery Happenings below for details on how to order these wonderful shade plants by noon on March 26. If not, now you have some plants to ask for at your local independent nursery. If you would like to read about the other woody plants I have recommended for shade, see Part 1, Part 2, and Part 3. 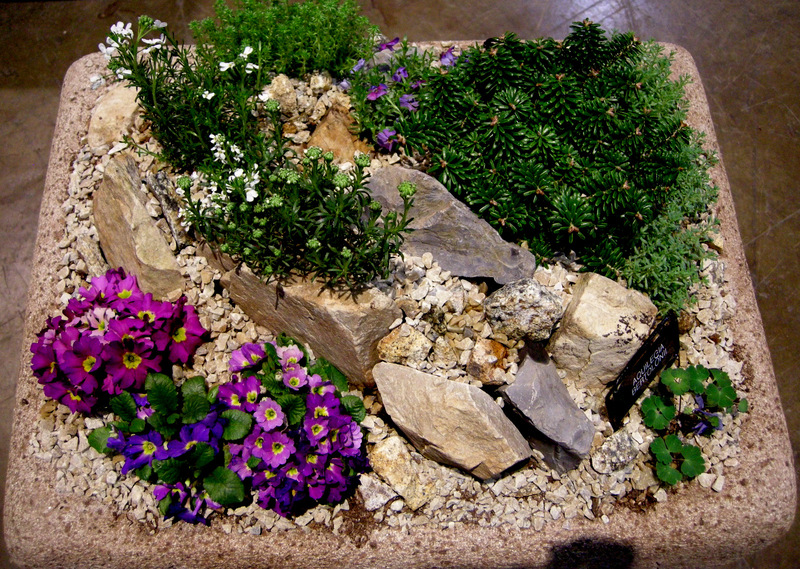 Nursery Happenings: I will be having a native wildflower event sometime during Easter weekend. Look for an announcement here or in an email if you are on my customer email list. 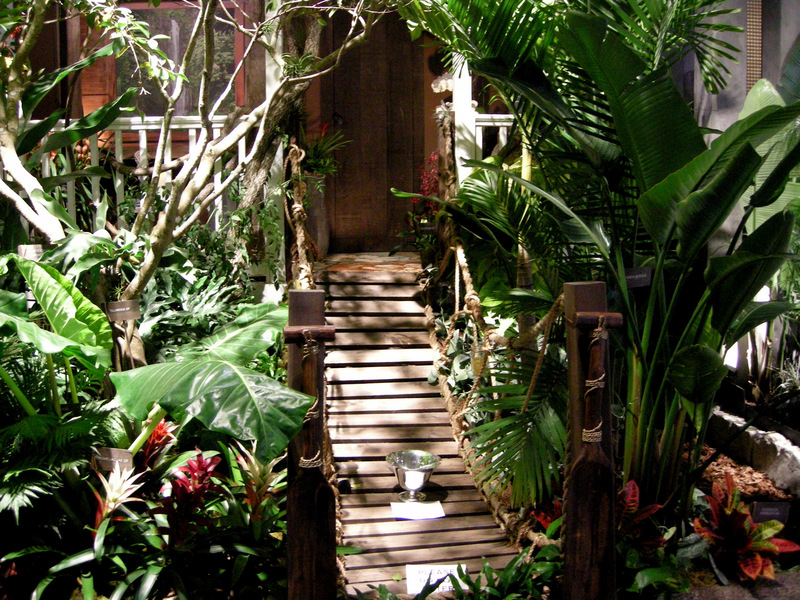 The 2012 Philadelphia International Flower Show took place last week. 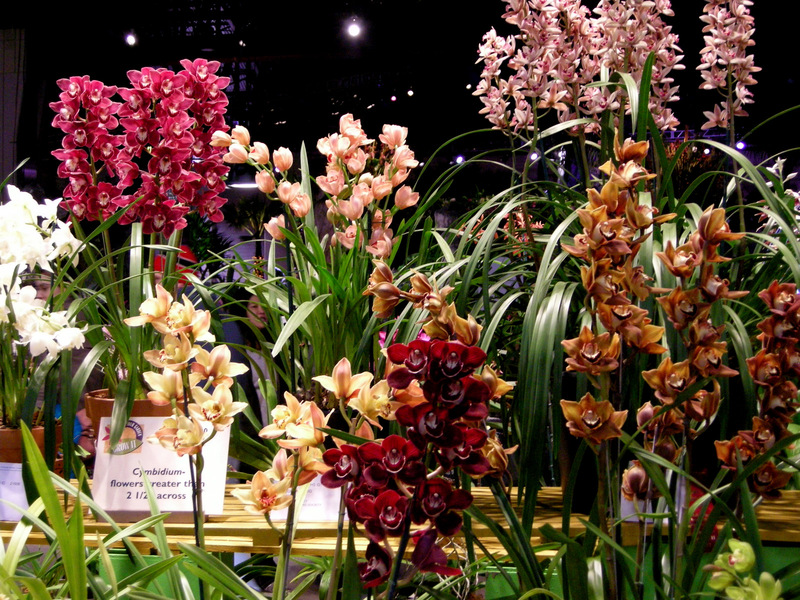 It is the world’s largest indoor flower show and can be a bit intimidating. 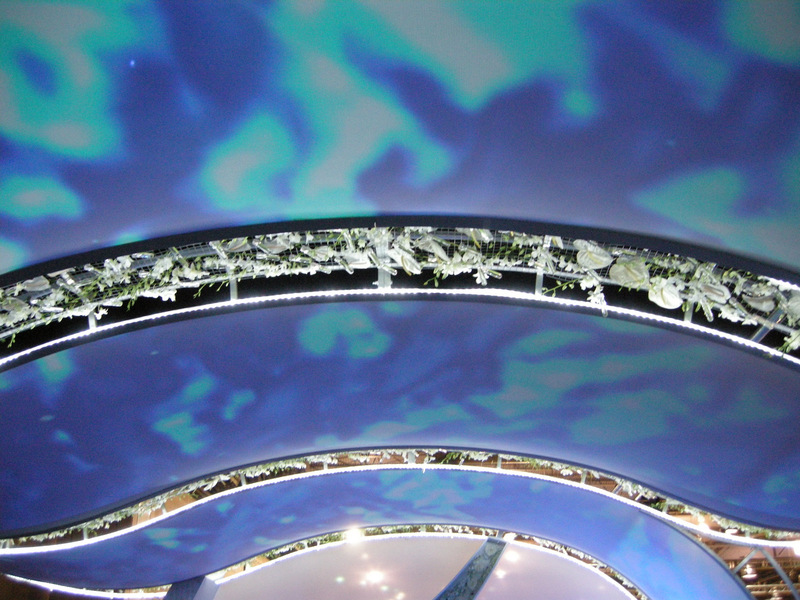 My husband and I find that Friday night is a less crowded time to go especially if you want to photograph the exhibits. 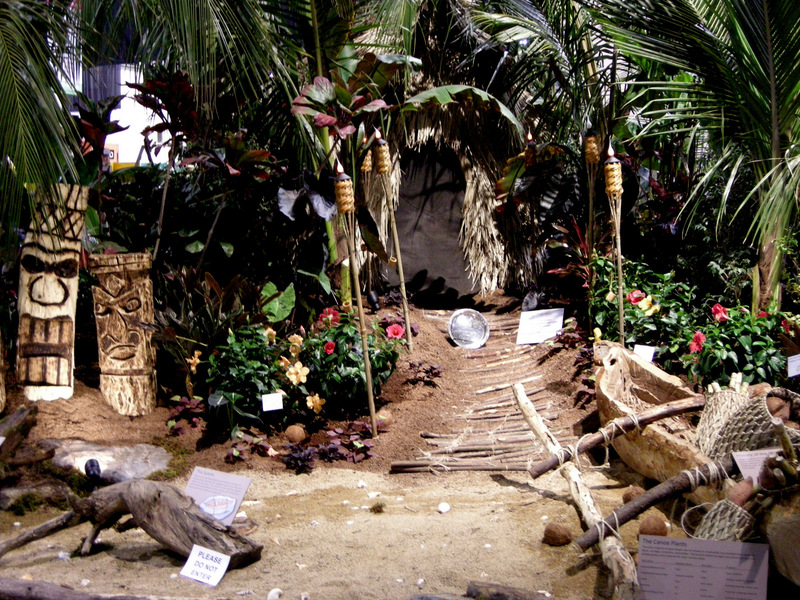 This year’s theme was Hawaii, which was a great choice for me because I attend for the “show” aspects and not to get ideas for my garden. 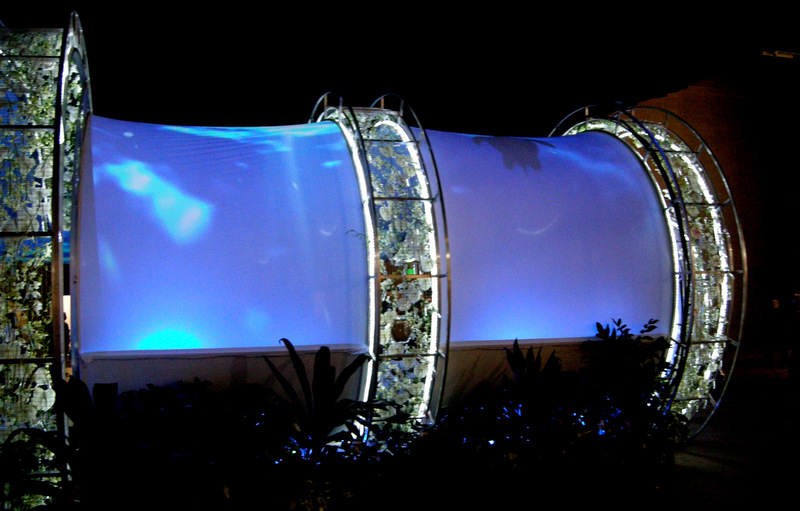 View of the wave from outside. 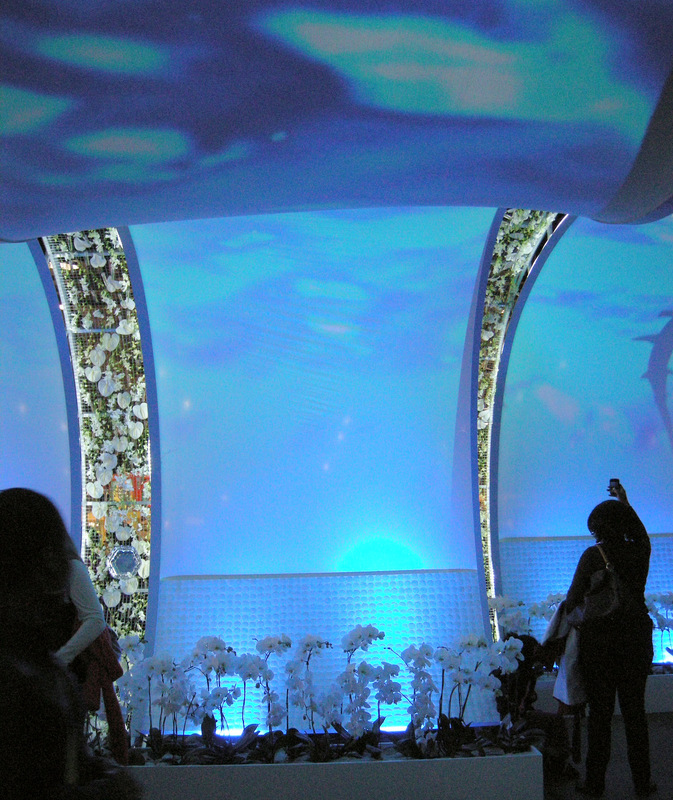 I really enjoyed the flower show this year, and, if you couldn’t visit in person, I hope you enjoyed your virtual tour. Nursery Happenings: My Hellebore Extravaganza open house sale is Saturday, March 24, from 10 am to 3 pm. 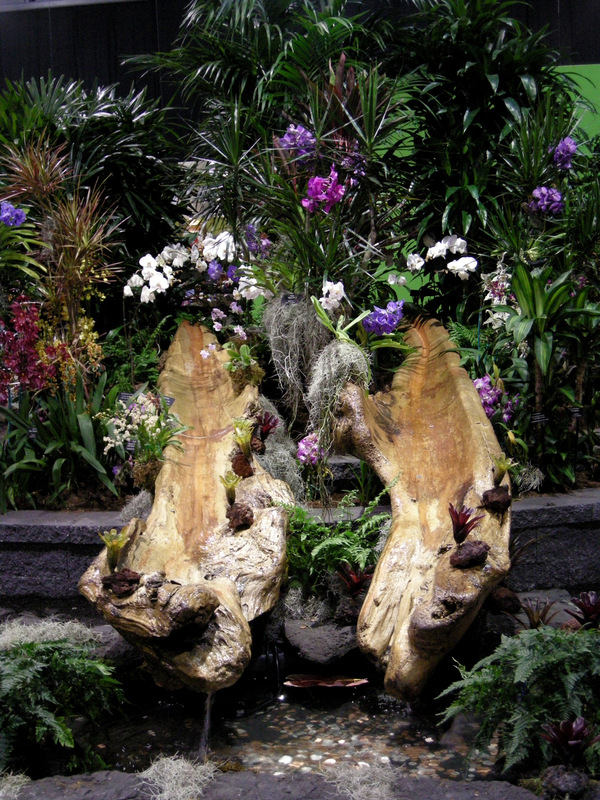 To view the Woody Plant Offer Catalogue and place an order by March 26, click here. 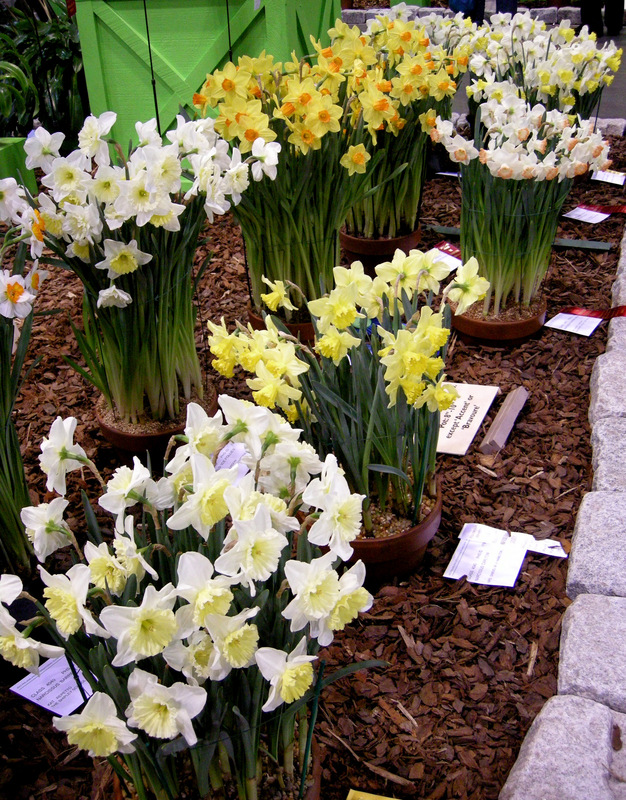 To view the 2012 Snowdrop Catalogue, click here. 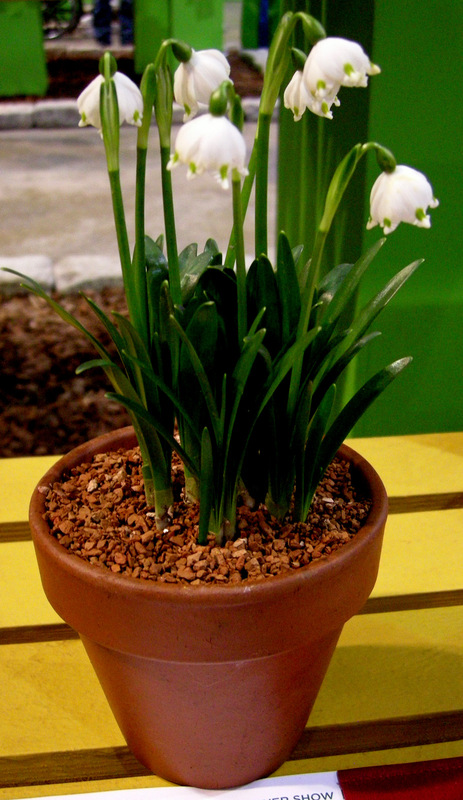 Snowdrops are still available for pick up at the nursery, but mail order is closed.